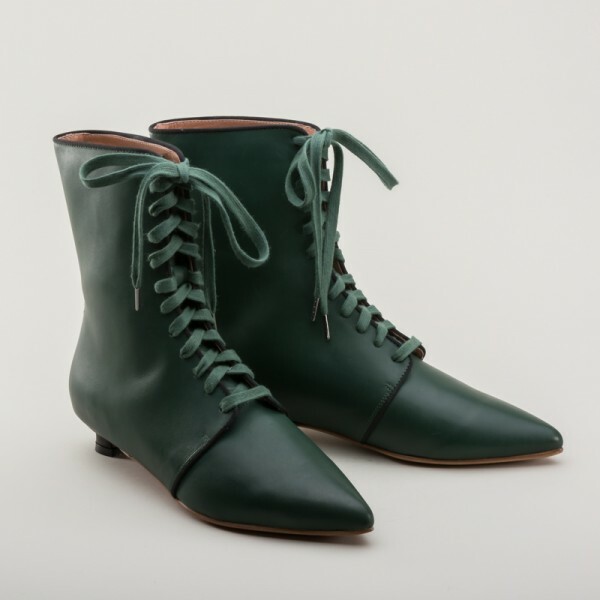 Mansfield Regency Boots are beautiful, sturdy, and elegant riding boots to complete your 1790s and early Regency outfits. 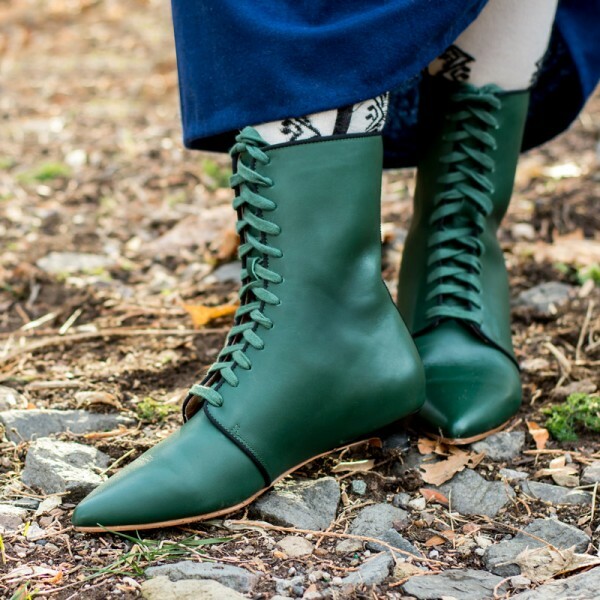 Wear these gorgeous boots for Jane Austen Festival, French Revolution, Directoire, and early Regency events, for all-day comfort, paired with the perfect silhouette. 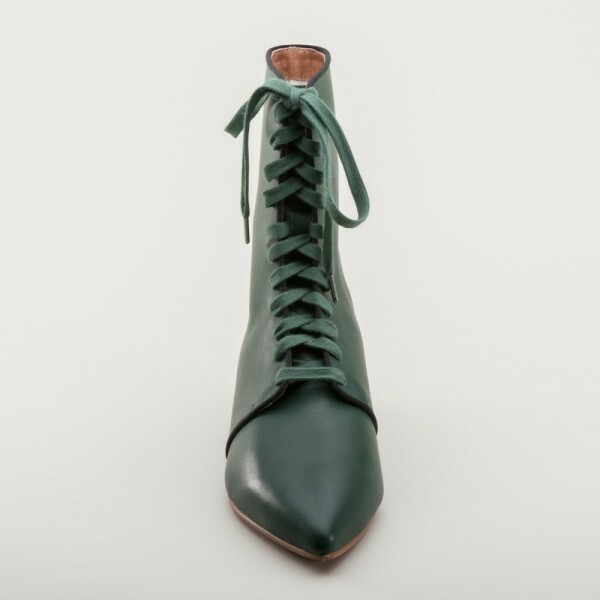 Designed directly from original late 18th century riding boots from 1790-1805, Mansfield boots in black are one of a kind, true reproductions with a sharply pointed toe, short 1 in / 2.5 cm Italian heel, grosgrain edge binding and backstrap, and adjustable lace-up closure. 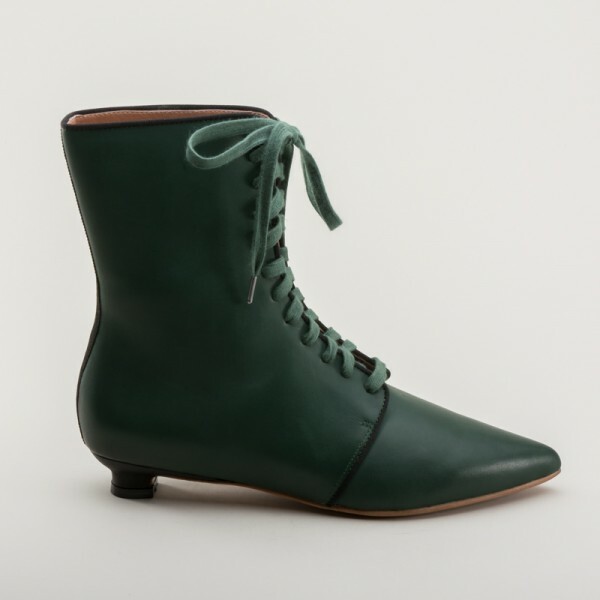 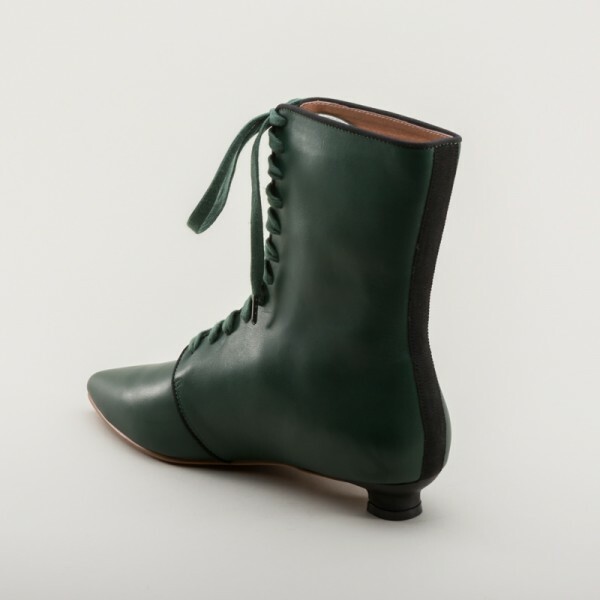 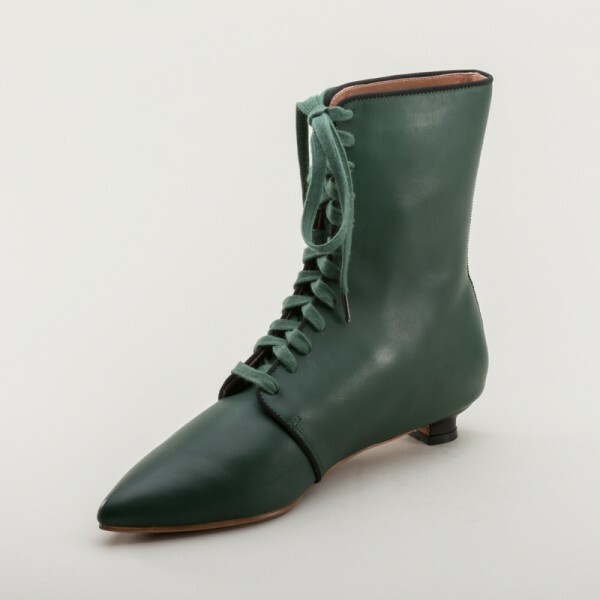 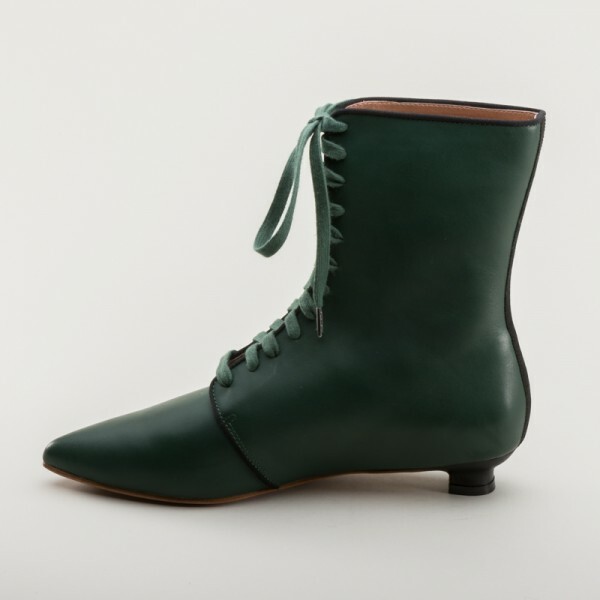 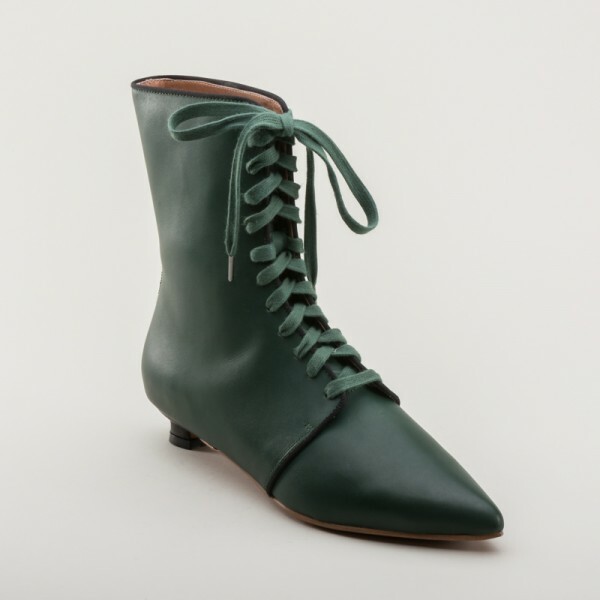 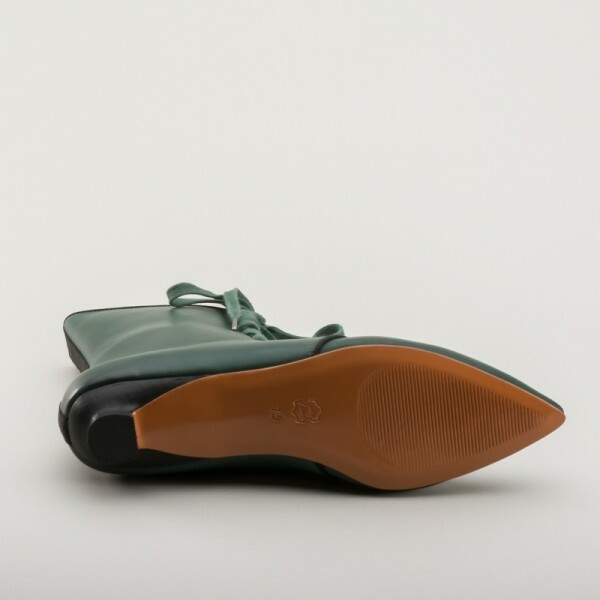 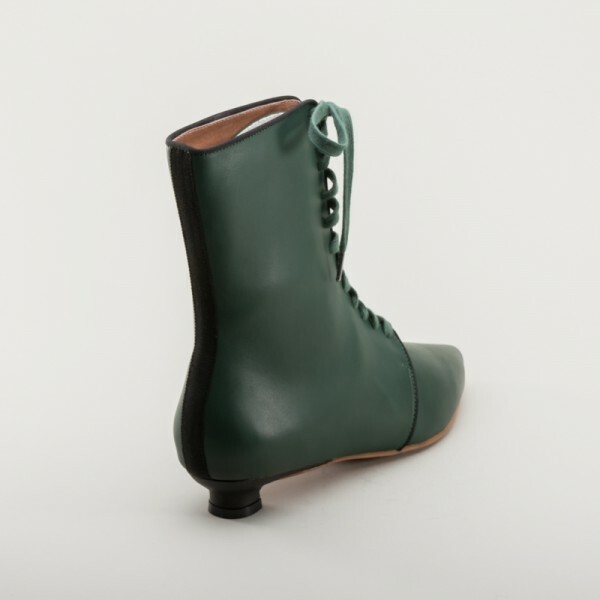 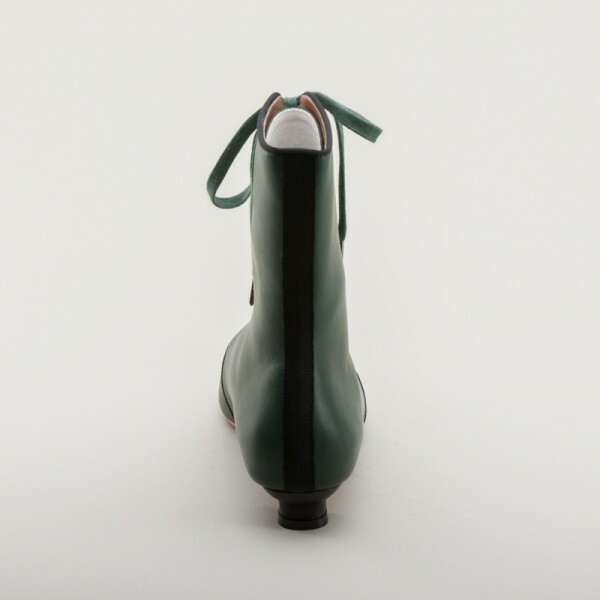 "Mansfield" Regency Leather Boots (Green)(1785-1805) has an average rating of 5/5 from 3 reviews.